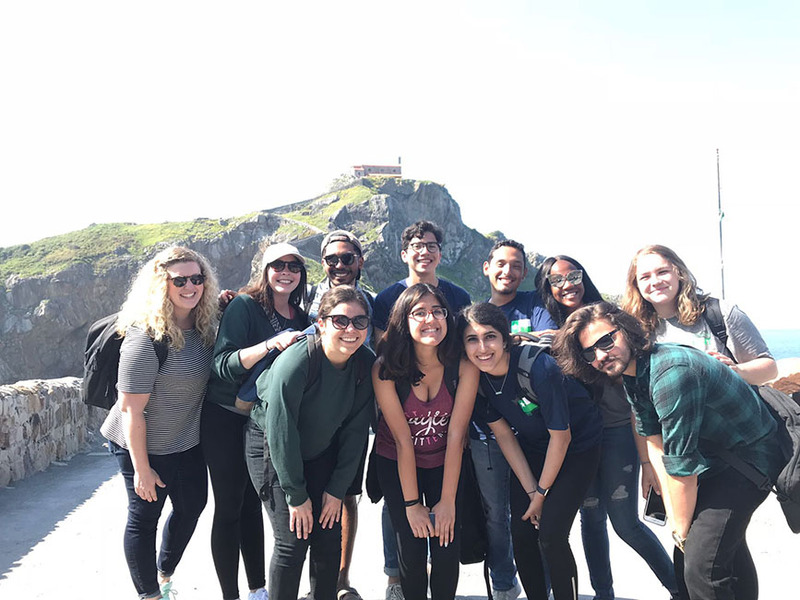 Ten UNT Emerald Eagle Scholars received the experience of a lifetime this summer by living and studying for three weeks in Bilbao, Spain. The trip, which took place May 13 – June 1, is part of the Pin Program for Global Exploration, the annual Emerald Eagle Scholars study abroad experience. 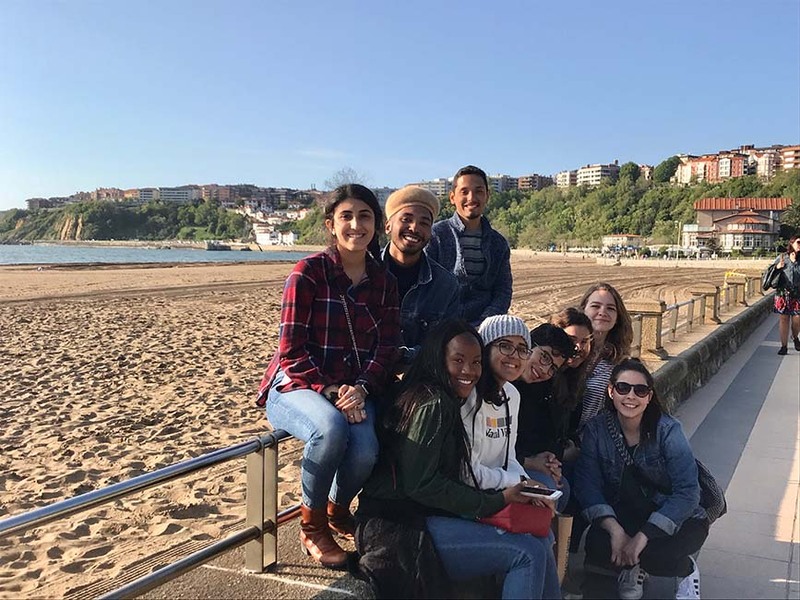 While in Spain, the students participated in the Experience Spain: Contemporary Spanish Culture course at the University of Deusto. The course served as an introduction to the culture and civilization of Spain and familiarized the students with the social, economic and political structure of the country today. 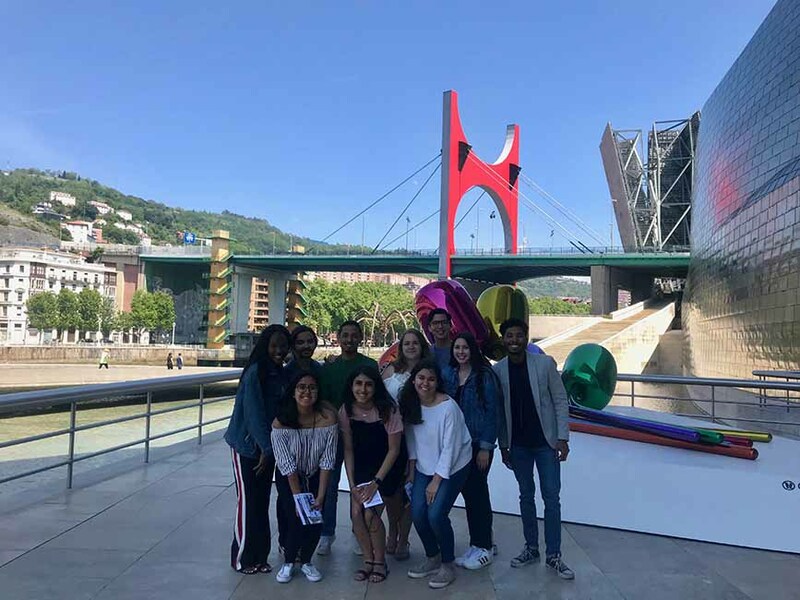 The students also visited Puente Colgante (World Heritage Site) and Portugalete/Getxo; Sopela Beach; Gernika and San Juan de Gaztelugaxe; Guggenheim Museum; San Sebastian; and Casco Viejo. The Emerald Eagle Scholars Program provides access to higher education for academically talented students with high financial need. While at UNT, the program seeks to connect Emerald Eagle Scholars to campus resources, engage them in activities that facilitate their academic success and support students in the timely completion of their bachelor’s degrees. For more information on the Emerald Eagle Scholars Program, visit http://studentaffairs.unt.edu/emerald-eagle-scholars.